After matcha latte its a high probability that this gold-colored drink will be what you drink on the trendiest places. 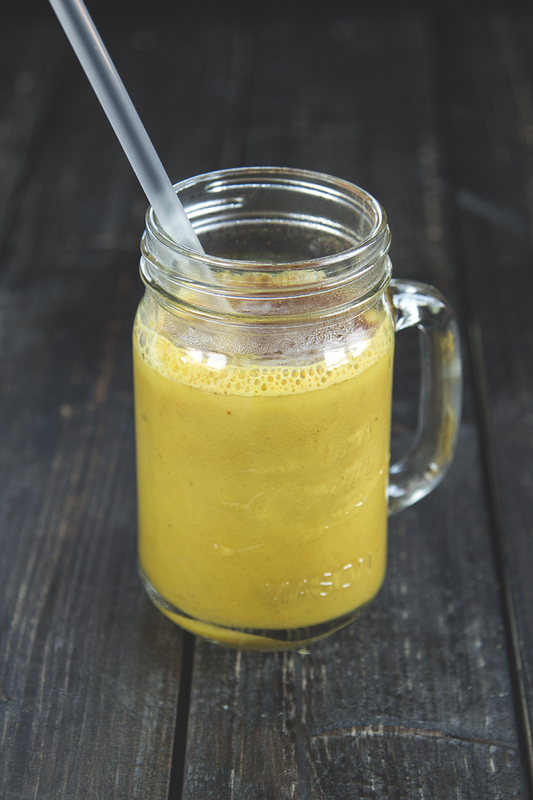 Golden milk gets its color from the spice turmeric. Turmeric is the base of curry and looks like ginger but with a orange inside. Turmeric does wonders for your immune system and is said to also help you with your digestion. It is easy to make golden milk, you begin by making a “golden paste” that you store in the fridge and thou can use for making several golden milks. Try making yours today! Boil turmeric and water in a saucepan and simmer over low heat for 5 minutes. Let cool and store in an airtight container in the refrigerator. Lasts for a few weeks. 1 tsp golden paste to taste, note that with fresh turmeric, you only need 1/2 tsp. Top with cinnamon, cardamom, vanilla and add a little sweetening if you think it is too strong to drink unsweetened. Heat the milk in a saucepan and whisk the golden paste. Pour and top with any spice and enjoy this spicy curative drink.